Looking for a mechanic you can trust for regular servicing? 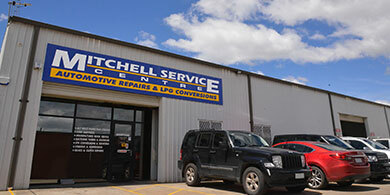 Mitchell Service Centre provides comprehensive servicing for most makes and models of vehicle. Mitchell Service Centre is an experienced and knowledgeable, Family run local business that focuses on all things automotive! We’re your go-to mechanics in Canberra. We are a family operated mechanical workshop owned and operated by John and Cheryl Whyte and have been servicing the Canberra region since 1994. 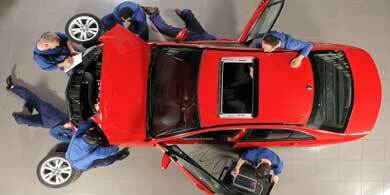 We offer a total car care service specialising in brake and log book services. We are proud to be members of the MTA, Fair Trading and LPG Australia. Located in Mitchell, servicing Gungahlin and surrounding areas. Our modern workshop is equipped with the latest computerised engine diagnostic and scanning equipment. At Mitchell Service Centre we’ll ensure your diesel, petrol, LPG or hybrid vehicle is maintained in optimal condition with our wide range of specialised servicing options. Our mechanics have many years’ experience and service most makes and models of cars including: Ford, Holden, Mitsubishi, Nissan, Toyota, Subaru, Volkswagon, Hyundai, Proton, Chrysler, Honda, Kia, Great Wall, Infiniti, Jeep, Lexus, Mazda, Suzuki and Skoda. We offer general log book servicing for private and commercial vehicles, which keeps your new car warranty valid by following the manufacturer’s servicing schedule. If you have a commercial fleet and would like us to arrange regular scheduled servicing for your vehicles, our team are happy to book this in for you on request. When you book in for log book servicing with Mitchell Service Centre you are investing in peace-of-mind, as we only use genuine parts on your vehicle, to ensure your new car warranty is not voided. Our mechanics have a CODA total diagnostic centre, scan and reset tools, so that we can provide full engine management diagnostics onsite. This ensures we can detect engine issues quickly and efficiently, determining whether you need general, or more specialised, servicing and repairs. With many years’ industry experience behind us, you can trust our mechanical team to take the time to fully assess your vehicle during servicing. We’ll let you know if there are any other mechanical concerns you need to be aware of, and won’t provide further mechanical repairs unless you’ve agreed to these in advance. Contact our friendly team to make a booking for log book or specialised servicing today. We generally have same day turnaround on servicing, so we don’t inconvenience your daily schedule.